Last week I wrote about the original Malbec wine:Cahors. This week might sound like a repeat of the story….French wine almost goes into extinction, but a South American country starts gaining popularity for its wine, and now people are checking it out. 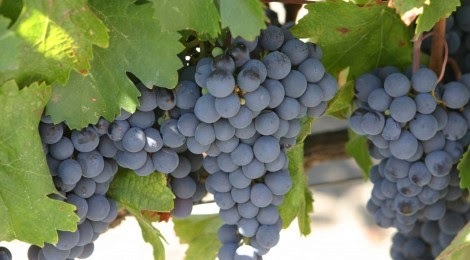 This week’s wine grape is Tannat. Haven’t heard of it? Then you soon will. Tannat is a red grape, which is normally found in the Basque-influenced regions of France near the Pyrénées. The origins of the grape appear to be from the south west France, near Madiran. The name is thought to have come from a local dialect, meaning “colored like tan”, referring either to its dark color, or possibly the high tannin levels. It grows in large bunches, but the berries are small to medium in size, with very thick skins. Tannat makes powerful, tannic wines with dark garnet red/purple color, and good acidity, making it a great candidate for aging. Notable aromas are raspberry, blackberry, spice, coffee, cocoa and vanilla. Throughout the world, Tannat is also known as Harriague, Moustrou, Moustroun, and Bordeleza Belcha. Tannat is mainly found in Madiran, but just like Cahors/ Malbec, it may be South America that saved this almost forgotten grape from extinction. At one point in French history, Madiran wines were accepted at payment for taxes, by the French kings. Tannat continues to be grown in the Basque country and southwest France, particularly in the appellations of Madiran, Irouléguy, Tursan and Béarn. 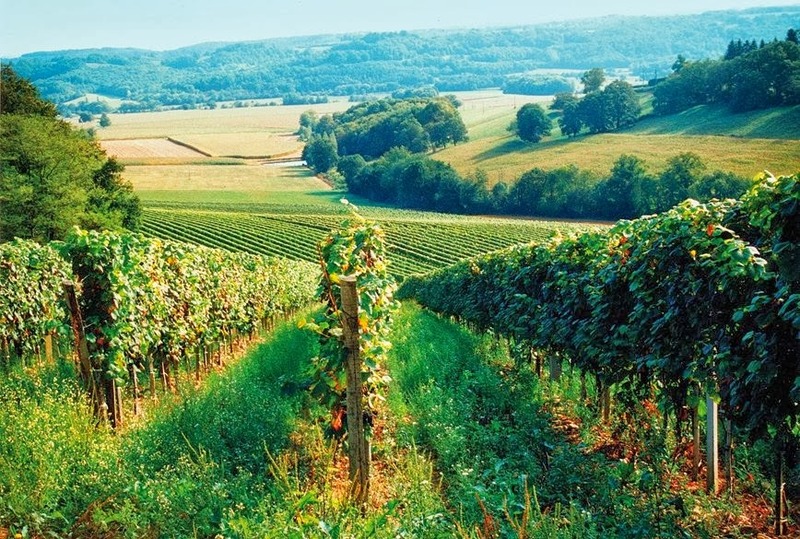 Today, there is over 7,200 acres planted in France. These wines tend to be chewy, dark, tannic wines with distinctive earthy and spicy aftertastes. The most notable appellation is Madiran, where the grapes are grown on the clay and limestone hills along the left bank of the River Adour. Traditional versions from Madiran need aging prior to opening. More modern versions are less rustic, but still can handle some bottle aging. The Madiran appellation laws mandate that Tannat be blended with Cabernet Sauvignon, Cabernet Franc, or Fer. Tannat must make up to 40% to 60% of the blend. The addition of these other “blending grapes” helps soften the hard edges of the Tannat. Some producers have recently begun receiving notable press for their 100% Tannat Madiran wines. Rather than blending, they are using a method known as “micro-oxygenation” (a process developed in the 1990s and by which oxygen is trickled slowly through the wine while in tank). Oak aging is also increasingly being used to bring complexity and a subtle vanilla sweetness to Madiran. Whatever the result, Madiran is one of France’s fine reds. It is hard and closed in youth but opens up at 5 to 8 years of age into a unique wine which has flavor and structure similar to Bordeaux. Like Cahors, these can be excellent wines to cellar - particularly from top producers like Alain Brumont of Chateaux Montus and Bouscasse. The area that is growing in popularity for Tannat is Uruguay (believe it or not, the second largest wine drinking country in South America). It is occasionally referred to as “Harriague”, after the Frenchman that brought the grape variety to the country in 1870. 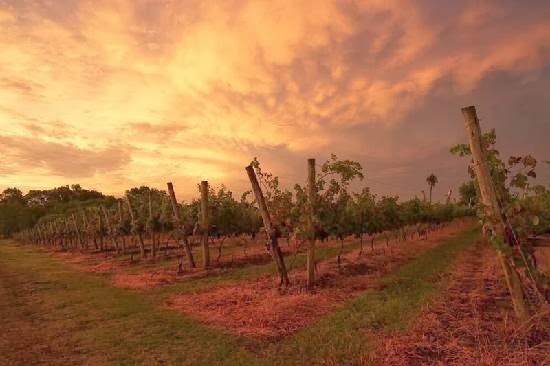 Because Uruguay never suffered from the Phylloxera crisis that devastated Europe, descendants of the original cuttings first brought there still exist, and grapes from these prized vines are known as “Harriague.”. There is currently more Tannat grown in Uruguay than in the variety’s native France. Due to the maritime climate, the tannins seem to be a bit more reserved than those in Madiran, and are often blended with Pinot Noir or Merlot. Instead of raspberry aromas (found in Madiran) the aromas of Uruguay Tannat lean more towards the dark fruit, Blackberries being the most common descriptor. Tannat is now considered the “national grape” of Uruguay. California is now teasing us with some Tannat, but as of 2010 (the last report) there was only around 250 acres planted (mostly at Tablas Creek, Solune and Bonny Doon). It wasn’t until 2002, that Tannat was recognized as a grape variety that could appear on a wine label, thanks to the efforts of Tablas Creek’s petition. One of the other reasons for growth and popularity of Tannat has to do with the recent research concerning the phenolic compounds that are found in the Tannat grape, which are significantly higher than other red wines. This is due to the fact that tannins come from the skins and seeds of the grapes when crushed. The reason for the high concentration of these properties in Tannat wines are that the Tannat grape contains five seeds (pips), while other wine grapes normally contain just two or three, this creates a high concentration of polyphenols, procyanidins, flavenoids and resveratrol. These are the four main antioxidant components found in all wines. Dr. Roger Corder (a cardiovascular expert at the William Harvey Research Institute in London) has identified Tannat as the grape with the greatest concentration of these compounds. Some claim that the wines of Madiran are the reason more men in the region live into their nineties. So, moderate consumption of Tannat wine may even contribute to better health. All this talk of health benefits, and what we all really want to do is enjoy the wine. Isn’t that what is important? Since Tannat is a somewhat rustic wine, with some harsh edges, it needs to be softened by food, especially fat. I would pair with beef, lamb, strong cheeses (blue or Parmesan), or maybe a nice Cassoulet (confit of duck and sausage stew)….Yummm! Nice article, thanks Jim for the attention you bring to Tannat. As a winery owner in Uruguay (Artesana), it's great to see Tannat getting some recognition. There are many outstanding and award winning wines produced in Uruguay that are starting to getting some traction here in US. 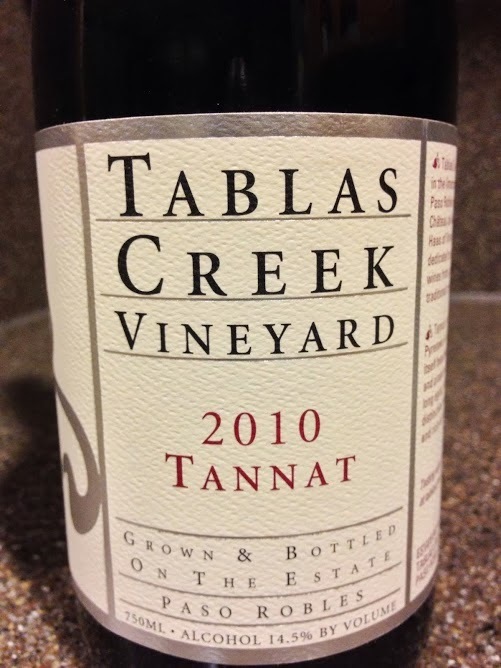 Tablas Creek's Tannat is one of the best examples I've tasted from California. Thanks for you comments. I see that you work with Artesana Winery. I have tasted your wines (and poured them at our wine club tastings), as they are available here in Southern California. Nice to connect with you! Good article, however I hope that French Tannat does not go the same way that Malbec went in Argentina turning into a fruit forward sweet fruit bomb. There are quit a few of us that enjoy the more tannic, arstingint mouth drying extracted wines like the traditional Malbecs and Tannats. I mean really how many wines do we need to water down to please the sweet week palette most american's have ? I would think the several thousand sweet wines we already have is enough. I also think gradually people will get tired of all wines tasting fruit forward soft and sweet. Take note Cahors and Madiran. hi%,, a real man's vino!! We have a winery in Washington State and we believe we were the first to make Tannat in blends and single bottlings. I, for one, prefer the more tannic wines from Madiran, especially with a rib eye.